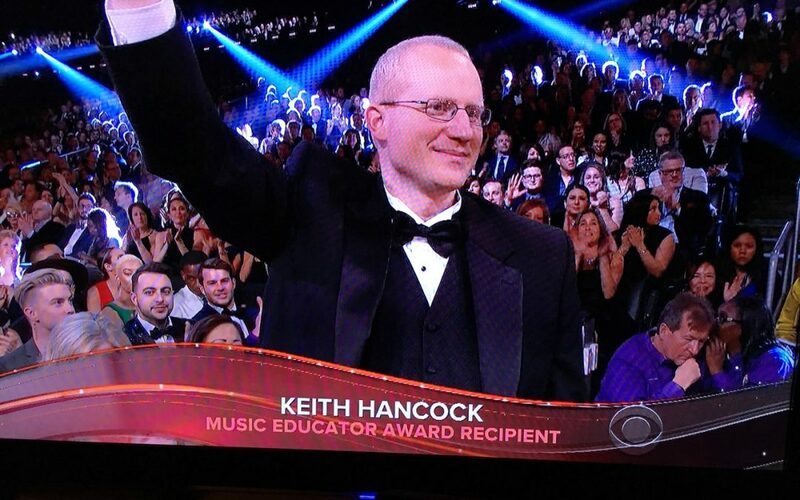 Keith Hancock, Tesoro High School’s Choral Director, was named the recipient of the 2017 Music Educator Award given by the Grammy Foundation and the Recording Academy. This award was first announced on CBS on February 8th, and the award was announced by Ryan Seacrest during the Grammy Telecast on February 12th. Mr. Hancock and his wife, Carly, were able to attend the Grammy Awards and many events during Grammy week. They walked the red carpet, gave press interviews, and attended concerts and recording sessions.